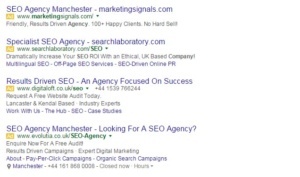 Google has finalized its roll-out of their decision to permanently remove Right Hand Side Ads throughout their Search Engine Results Pages (SERPs) internationally. Twitter users were the first to even notice the SERPs change and make the information viral within just a few short hours. Following closely behind were marketing professionals, AdWords users and companies who were concerned about how it would affect PPC and SEO in the future. For those who haven’t delved deep into the new policy, we’ve put together a quick overview. Google started their roll out on 19 February with no official announcement. Speculation points to the fact that these updates will change the results of badly designed Click-Through-Rate (CTR) ads on the side of Google results. Top and bottom ads will remain intact. Others have said that the change will transform the way that desktop users experience ads. The following changes are what we know for sure Google has made in regards to their ads. 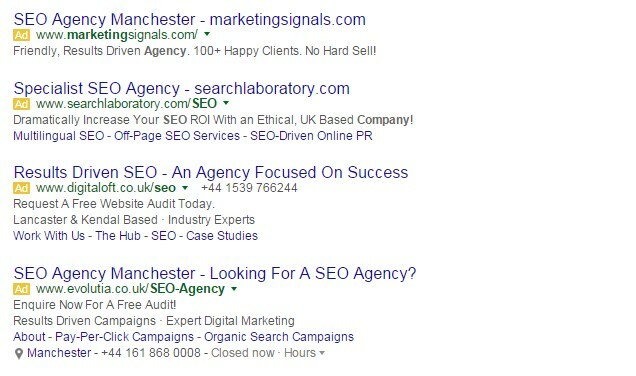 First, the amount of ads shown at the top of each search page will increase in number, especially in regard to search queries. All right hand side text ads have been removed. Product Listing ads and Knowledge Graph Boxes will remain. No more than three ads will be displayed at the bottom of the page results. This affects only desktops and tablets. With these changes in mind, we can guess that the effect on AdWords campaigns and ROI from advertising investments will be tangible. With fewer ad spaces available, the competition and Cost-per-Click (CPC) is likely to increase. Quality Score and CTR will likely become more important than ever, which means that competing for the top spot is more affordable than previously. However, for ecommerce businesses this is even better news. Those who gave Google Shopping space, now is the time to join those who use this service and start pushing a live campaign. For now, it isn’t clear how the latest update will affect SEO ranking, but it’s worth noting that businesses who are barely keeping their head above water in the CPC area, need an effective SEO strategy in place to ensure your website doesn’t decrease too much in traffic.